Behind which, after times of abundant rainfall, water collects. looking North at Turner River Road. 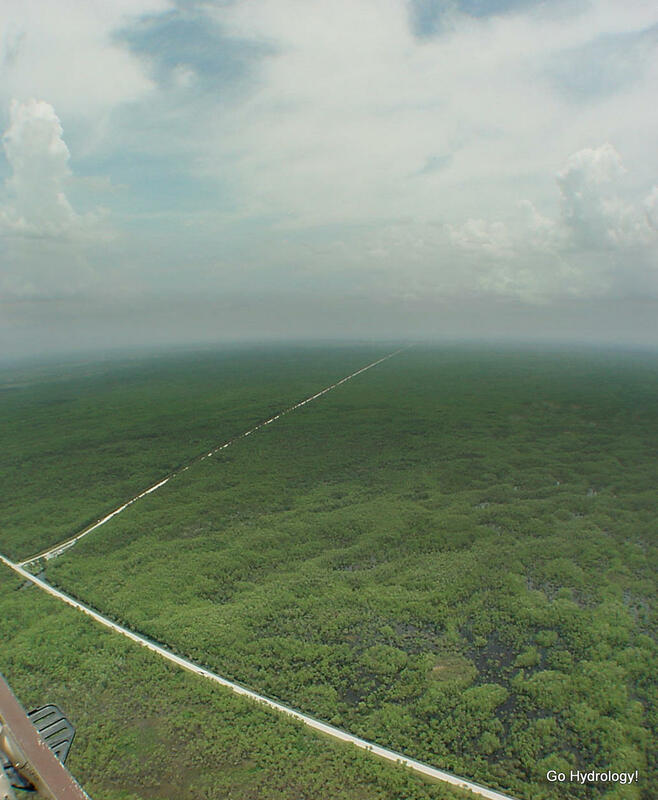 This year that pool of water behind the Tamiami Trail (foreground) actually back flowed in a northward direction (i.e the wrong way) until it found the southern most culverts under Turner River Road (background) and continued its journey East. Funny things happen when you get 15 inches of rain in one day.